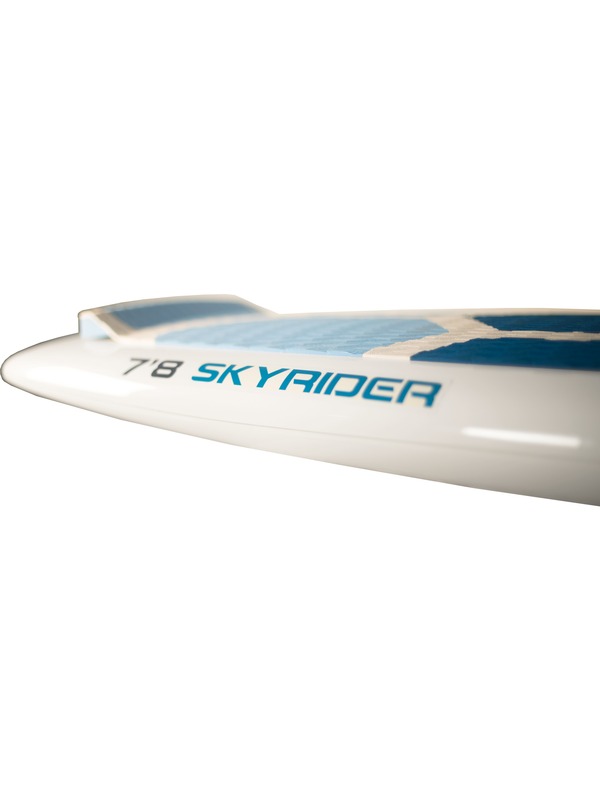 Convertible Sup Foil board BLUE SKY: 7’8x 30. The board is big enough with its 7’8×30 and 120 litres to foil in any conditions. 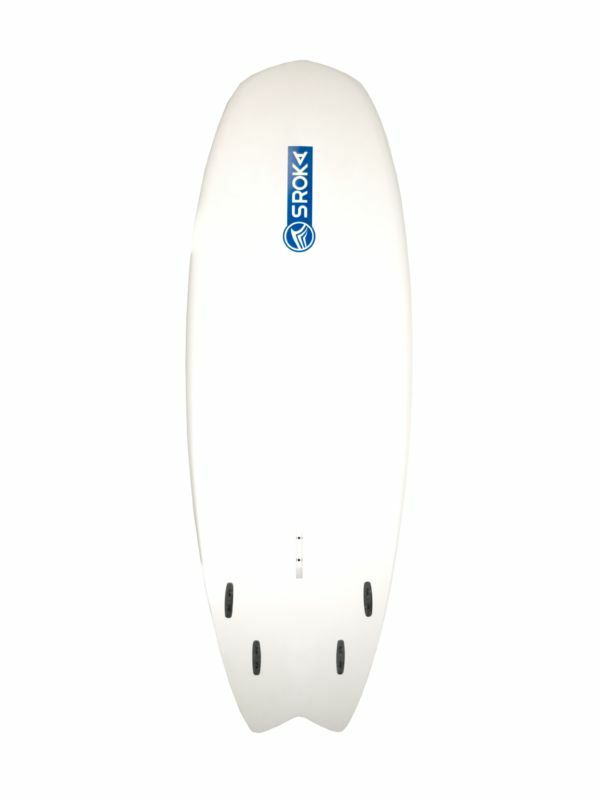 TheBLUE SKY Sup Foil Board will allow you to sail in any wave conditions. 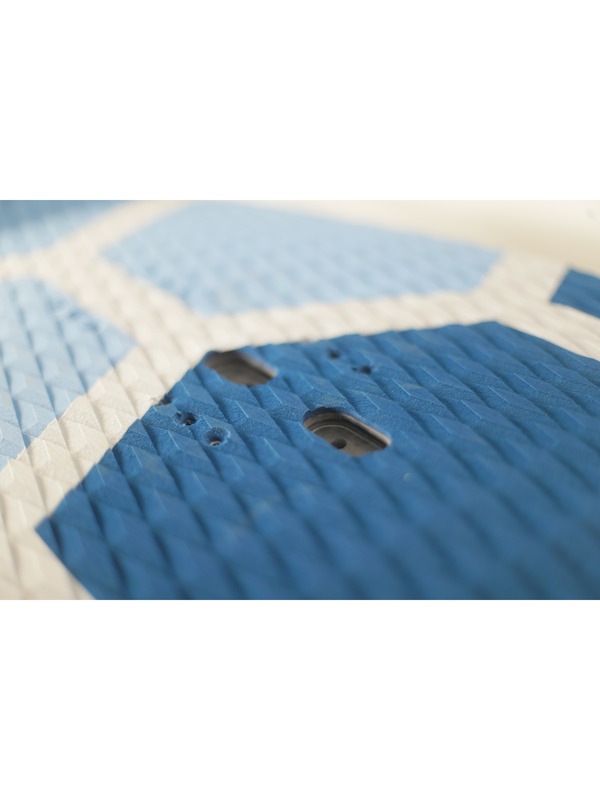 This board, made in France, has been tested in Brittany and is therefore adapted to European conditions. Thanks to its generous volume, you will have no stability problems. 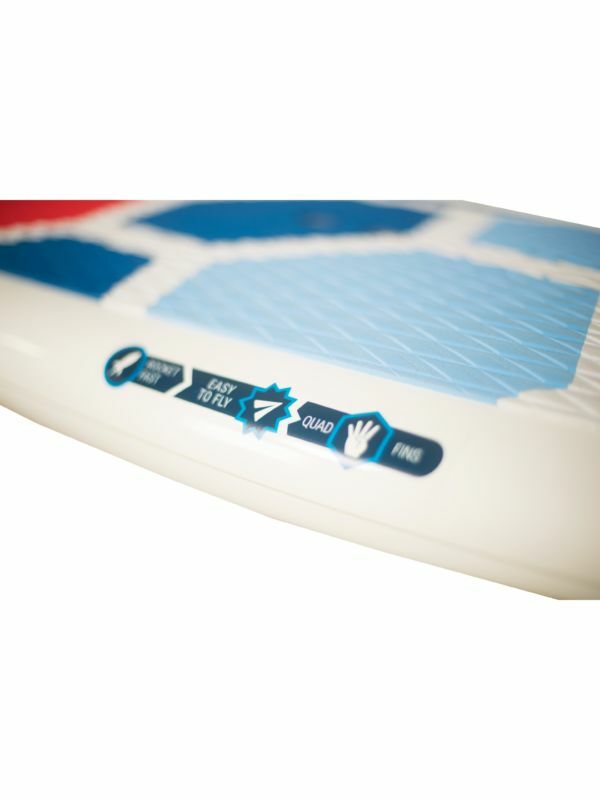 This board is convertible because you can also use it in a traditional Stand up paddle version. 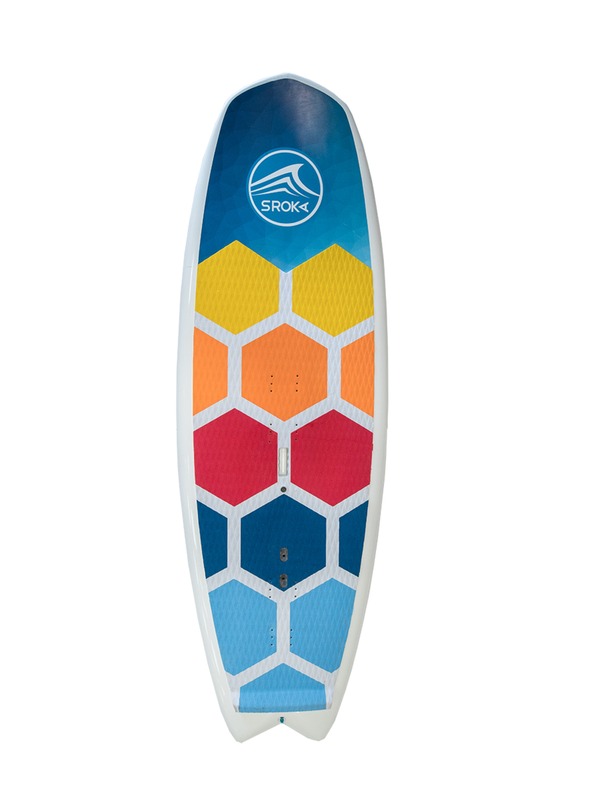 Put 4 FCS fins on it and you end up with a SUP to play in the waves. 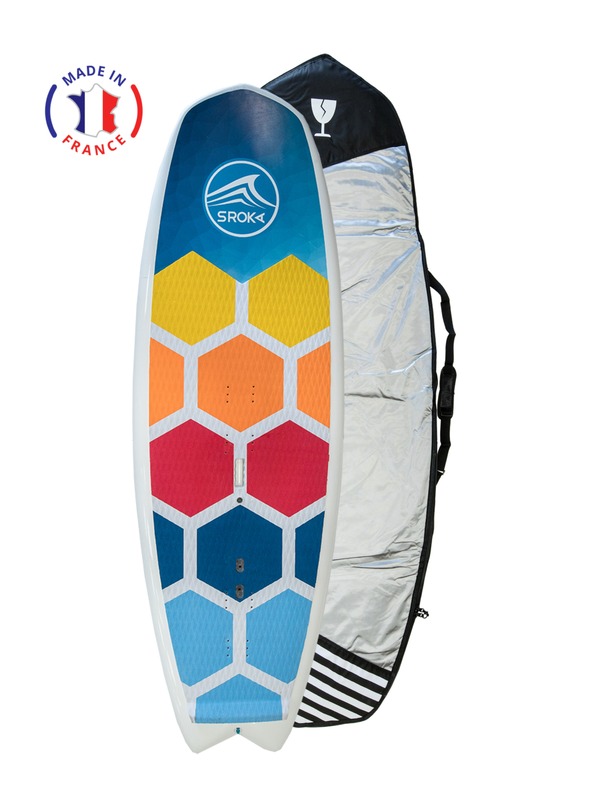 The board is built in France and its cover is free. 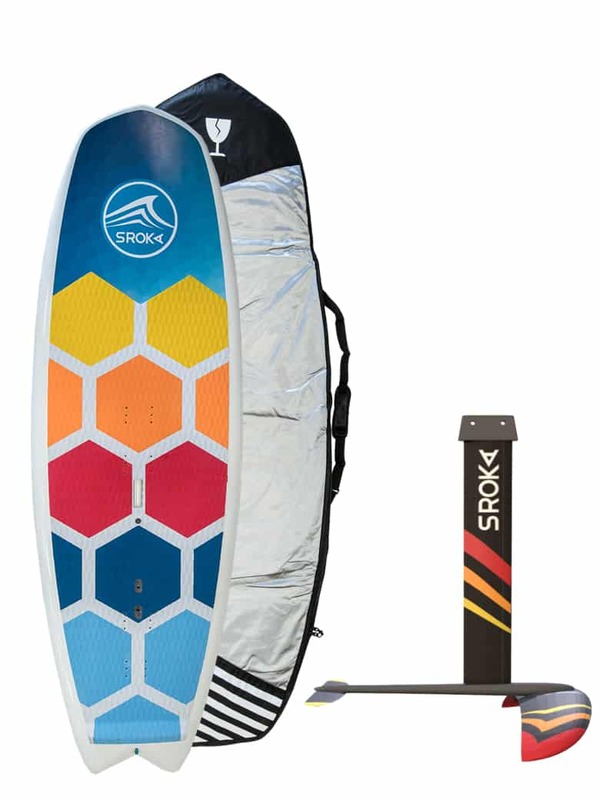 The Shape of this SUP FOIL Board has been designed to have a 2 in 1 board. 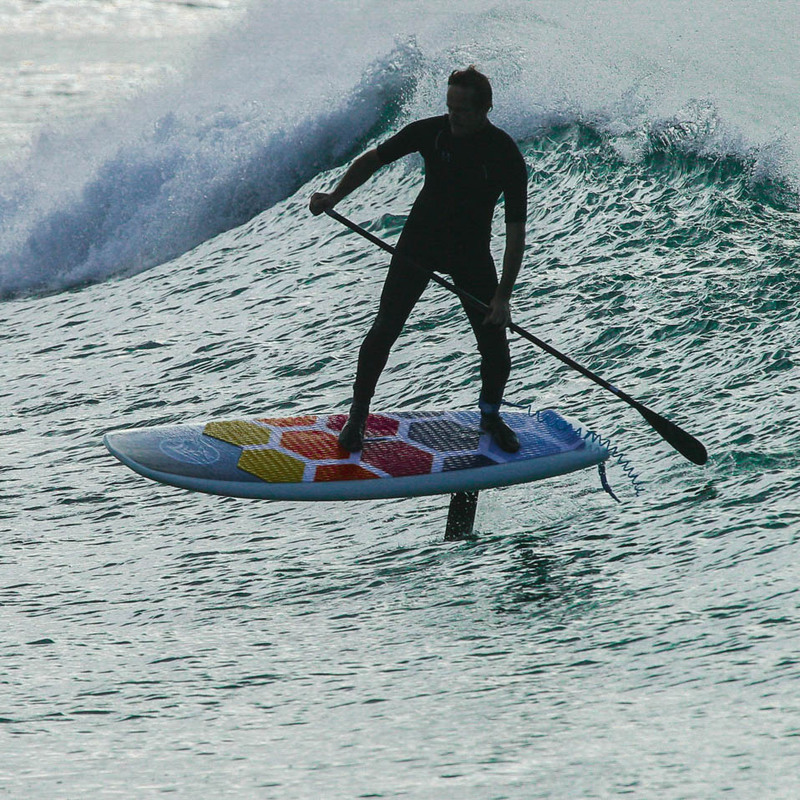 If there are too much waves to foil, just put FCS fins on and you can surf normally in Stand Up Paddle. The waves are too small and you want to Foil in Sup ? 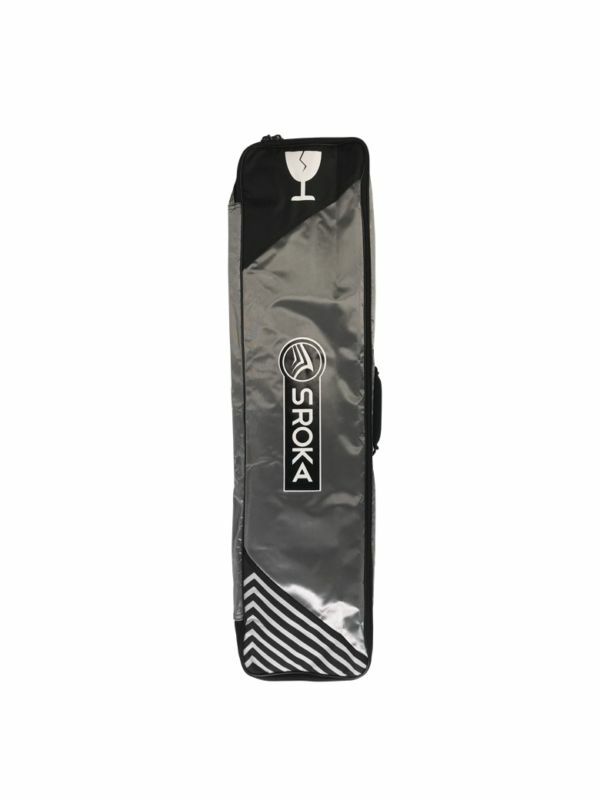 Remove your surf fins and put a SROKA foil on them. You will no longer wait for the good conditions to come, surf whatever the conditions. Foiling is the starting point of your evolution. 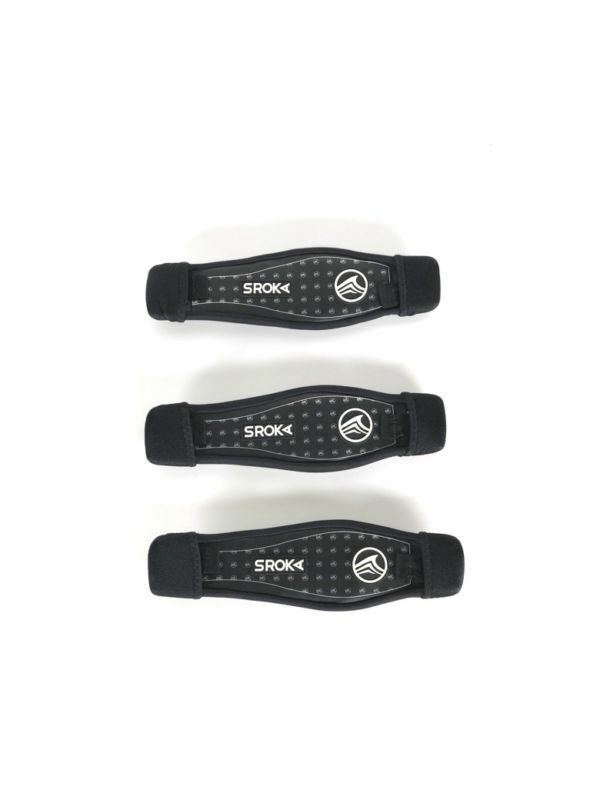 Over time, complete your foil fin range to adapt it to all conditions. 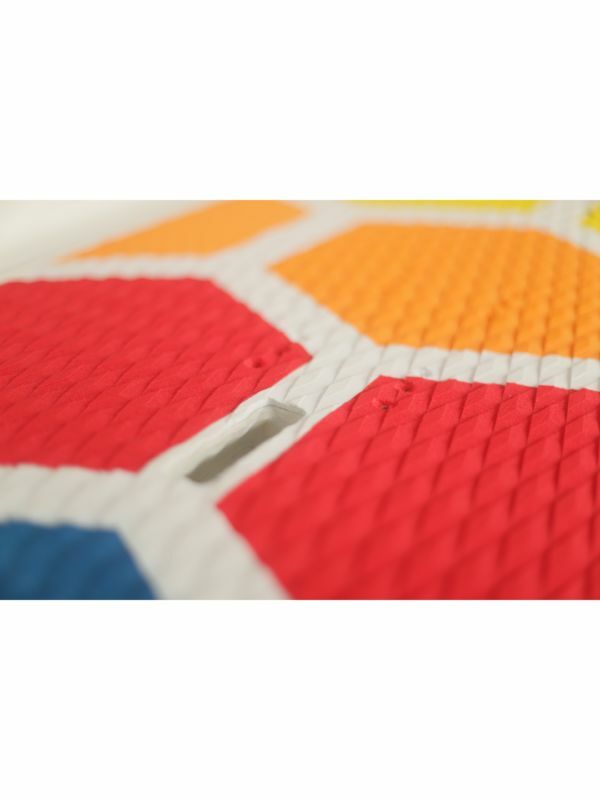 Strap inserts are positioned on the board to better control the board and be more radical in your curves. Don’t be afraid to be radical! The limit is you! The foil allows you to discover new sensations. 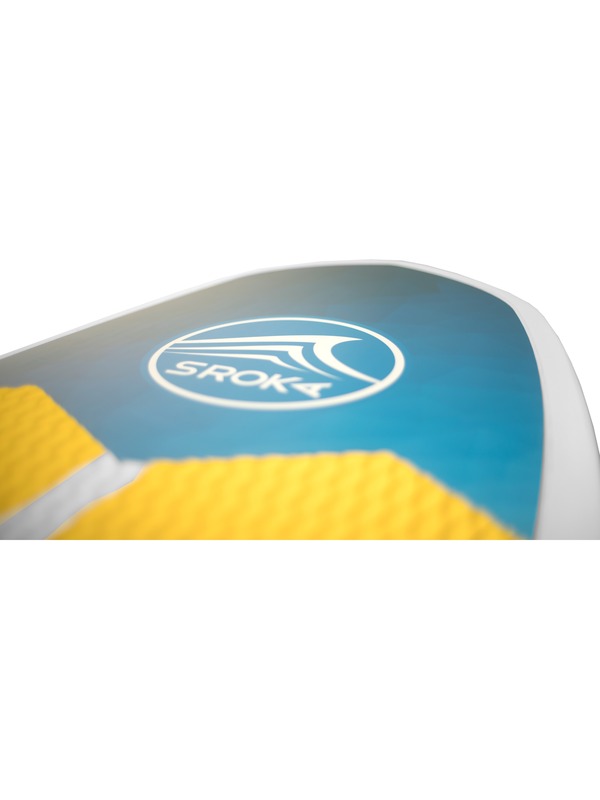 Forget the overcrowded spots, discover new horizons with the Supfoil SROKA. 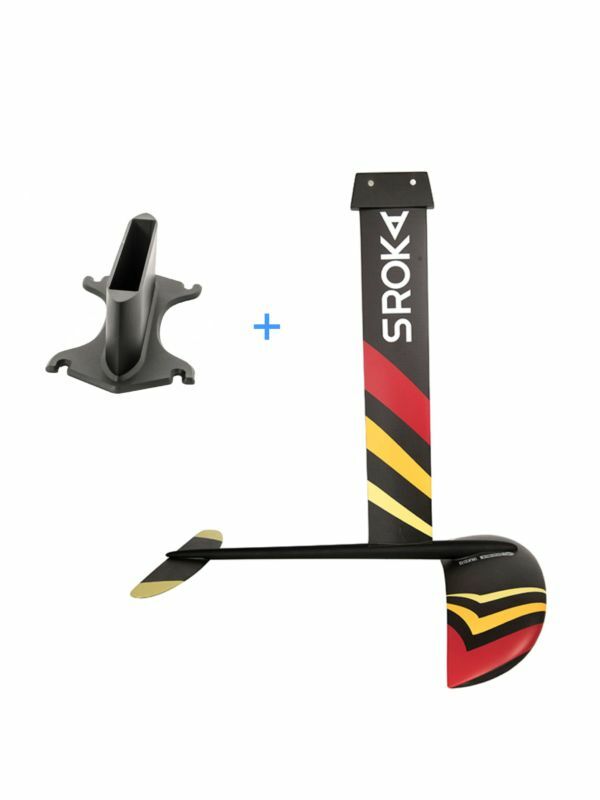 This Supfoil Sroka is one of the best products on the market for foil initiation. Really steady and easy to control in flight, it will make you taste the pleasure of flying over the waves. 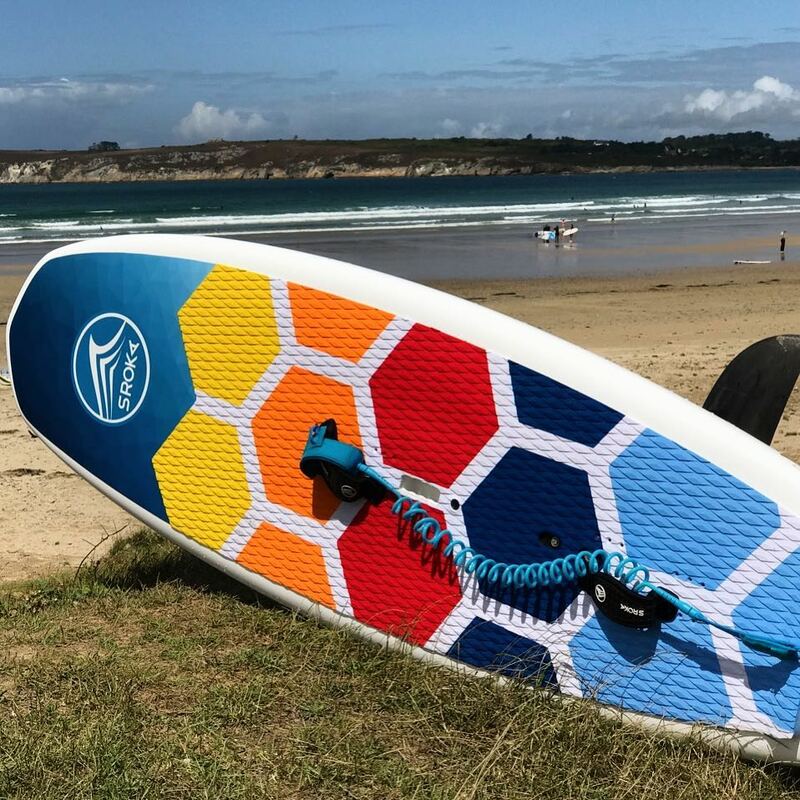 With a few strokes of the paddle you are at the peak and there, no need to wait for the right swell, the BLUE SKY will make you fly on any wave and especially in the softest waves (the easiest to catch in foil). 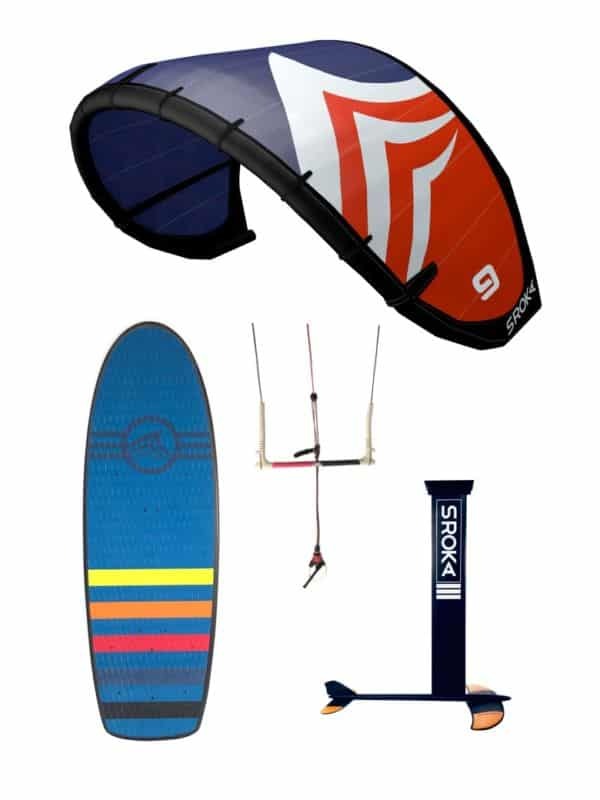 If the conditions are too rough to take out the foil, insert 4 thin FCS fins into the FCS boxes to surf the waves in SUP. The BLUE SKY is compact and will allow you to have radical manoeuvres while having a good stability thanks to its volume. 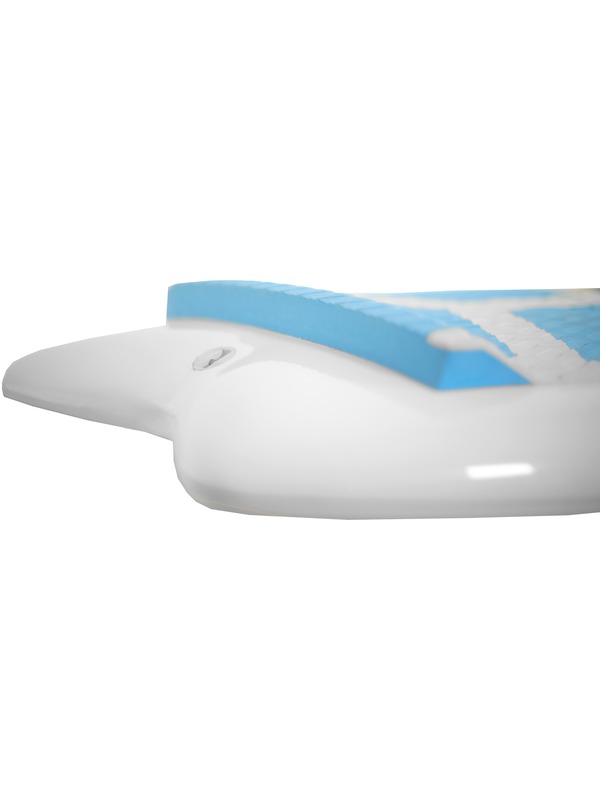 Its square tail will give you maximum comfort and efficiency when curving. 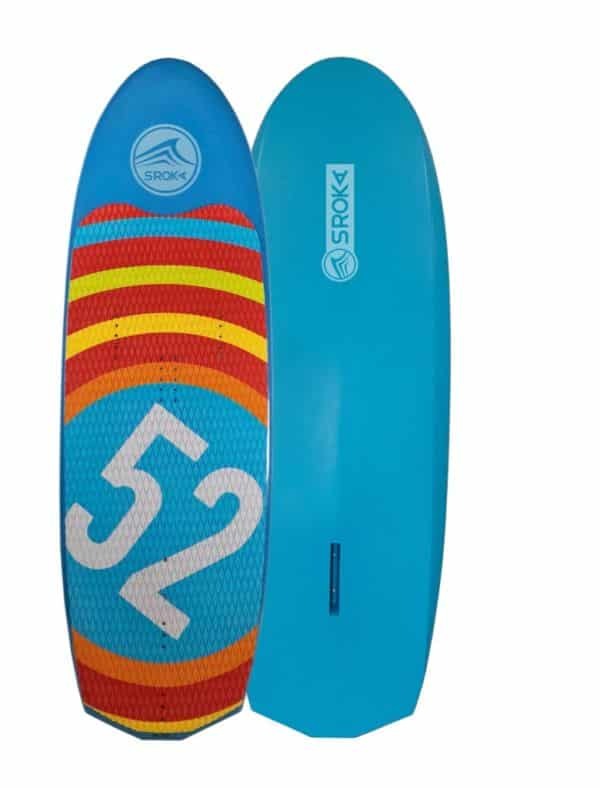 Its small size will give you an ease whatever the wave conditions. 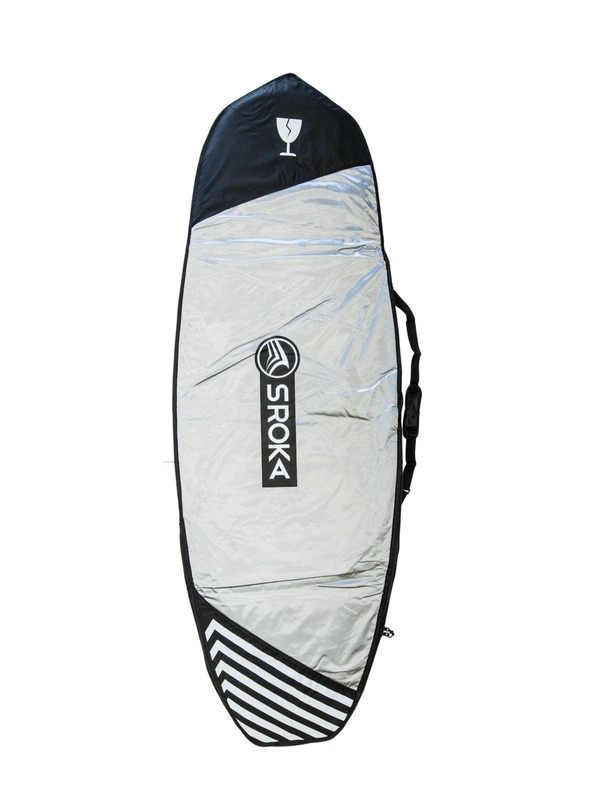 Foil and surf with only one board, choose the BLUE SKY from SROKA COMPANY.